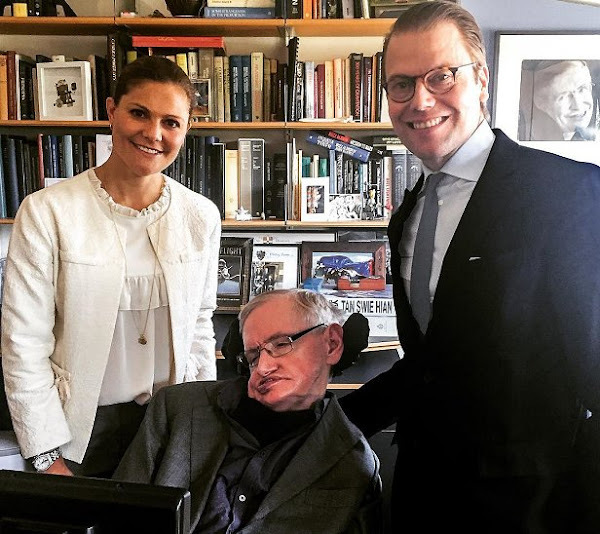 In the previous days, Crown Princess Victoria and Prince Daniel met with English physicist, cosmologist and theoretician Stephen Hawking during their special visit to Cambridge and a meeting relating to lack of physical activity was held with him. The meeting was held by GEN-PEP which is a charity organization founded by attempt of Crown Princess Victoria. The purpose of that organization is to create suitable conditions needed for a healthy life for children and young people. I know this blouses are in vogue but that is not what I would wear. I think it is better look in cream color than any other. I read few interesting books of S. Hawking. Victoria has such a warm and beautiful smile!